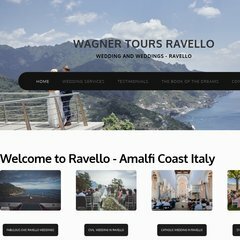 Topics: Wedding Ravello Angela & Jerry, and Wedding In Ravello Veronica Chris. Aruba S.p.a. - Dedicated Servers Soci is the location of the Microsoft-IIS/7 server. It has 2 DNS records, ns2.localidautore.it, and ns.localidautore.it. ASP.NET is its coding language environment.